Comfortable and popular, these earrings match any occasion. 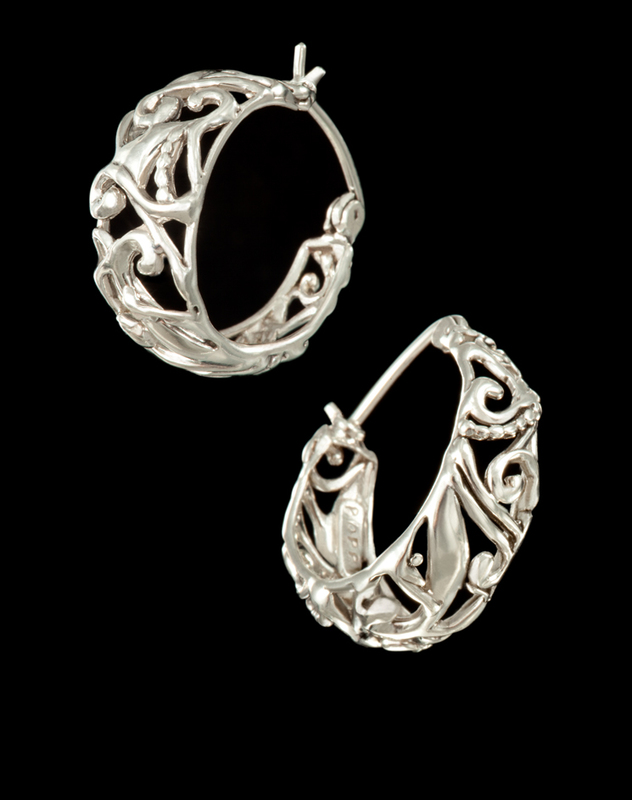 Open filigree forms a hoop with the post catching behind the ear. A sophisticated design that is appropriate for both casual and formal wear. These earrings are also available in 14kt. yellow gold.